Mythics, a consulting firm and managed services provider specializing in Oracle products, is partnering with Internet2 to launch Oracle Cloud services for Internet2 members, InCommon participants and higher education institutions in regional partner programs. 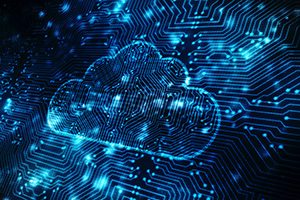 Part of the Internet2 Cloud Services Program, the new offering "provides differentiated Oracle Cloud capabilities that include enhanced network peering and a discounted community pricing structure that delivers savings in procurement efficiency and in the costs for Oracle Cloud services," according to a news announcement. The deal provides access to the Oracle Cloud Platform as well as Oracle Cloud Infrastructure to enable next-generation education and research. As adoption of the service grows, Mythics and Internet2 plan to launch a NET+ Service Validation "to review work that has already taken place and to further differentiate the offering," the announcement said. "Mythics has a long proud history serving the research and higher education market and we are excited to foster even deeper relationships with the Internet2 community nationwide through our NET+ offering," said John Iuliano, national education director for Mythics, in a statement. "The provisional Internet2 Cloud Service offering now makes it easier than ever for community members to adopt Oracle Cloud, to enable modern institutions that are improving scholarship and science with integrated cloud technologies by Oracle." For more information, visit the Mythics site.